My play, Hands Down, will be staged as part of Buds Theatre Company’s Going Local 4. Hands Down is a comedy about a married couple that finds themselves facing off in a challenge to see who can keep their hands on a car for the longest period of time in order to win it. The catch: whoever puts his or her hand down first loses the car – and the marriage to boot. This year’s Going Local comprises four short plays, including Dressing Up by Gwendolyn Lee, Don’t Colour Outside Of The Lines by Jaryl George Solomon and The Untitled Funeral Play by Luke Vijay Somasundram. Standard tickets are $20 while concession tickets (for students, senior citizens and national servicemen) are $15. 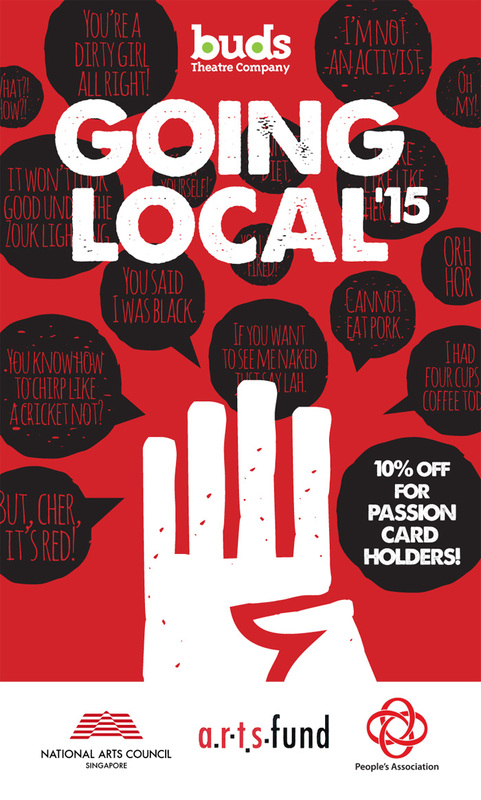 And if you’re a PAssion Card Holder, you get 10% off ticket prices. 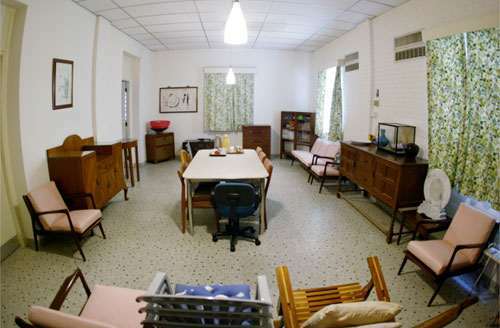 So there are calls for Lee Kuan Yew’s home to be turned into a heritage site. As always, I’ve got a better idea, ladies and gentlemen: Oxley Cultural Centre (OCC). OCC will be an arts and cultural centre at which artists will stay at for residencies between a month to three months. It’ll follow the same concept as Toji Cultural Centre, where I had such a fruitful time during my residency back in 2013. Food and lodging will be provided by the OCC, which will have a National Arts Council-appointed manager/administrator to handle finance matters, maintenance arrangements, residency rosters, events such as poetry readings, etc; a part-time chef to provide lunches and dinners for the artists; and other support staff, where required. “When I’m dead, demolish it,” said the man, in reference to his home. But what would happen after is a foregone conclusion: A multi-storey condominium called 38 Oxley in its place – not exactly the most fitting tribute to one of the founding fathers of Singapore. If we preserve it as it is, it’d be an insult to Lee, who specifically asked for it to be demolished. His rationale for demolishing it was, ostensibly, to prevent an Ozymandian ending to a place where he must’ve had many happy memories. This is the same man who once said that “poetry is a luxury we cannot afford”. Well, we can afford it now, after all that he and the old guard have done to build the nation – many thanks to them for that. Right now, we’ve only got Centre42, the Writer-in-the-Gardens Residency Programme and the Pulau Ubin Artists-In-Residency Programme. In the case of the latter two, they don’t exactly provide spaces in which artists can reside for an extended period of time to work. Extended interactions are important; artists work in solitude for much of the time – sometimes, not by choice, because the profession is as such. More opportunities for working closely with other artists – at residencies and festivals for example, where artists work and live together – will help broaden perspectives and deepen understanding about crafts that take years to hone. To pay tribute to the man in a respectful manner, we keep the house as it is, so there is room for memory and nostalgia, but we put it to another, better use – putting soul into Singapore through the arts and literature. After all, Lee was always one for pragmatism. Putting 38 Oxley to practical purpose – as the OCC, in higher service of the nation – would’ve been what he’d’ve wanted. Find out more about the Toji Cultural Foundation, and read what others have to say about their Toji Cultural Centre residency experiences.